Utica, NY – The luck of the Irish came through for seven happy ticket-holders. 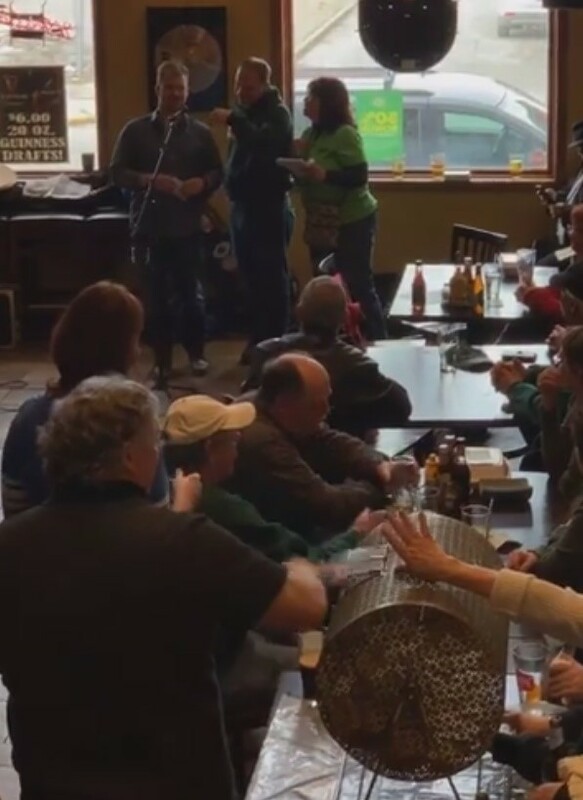 On March 24th, as a roomful of hopefuls at the Celtic Harp held their collective breath, Utica St. Patrick’s Day officials drew the names of seven lucky prize winners in the annual 2019 St. Patrick’s Parade Raffle. The popular raffle is conducted by the Great America Irish Festival each year to defray the costs of putting on the St. Patrick’s Day Parade. Raffle Chairperson Mary Lou Manchester thanked the many (many) people who bought tickets, and especially wanted to recognize the generosity of the businesses listed above, who continue to support our Irish community year after year (hint: a good way for you to say ‘thank you’ is to support their business throughout the year! ).